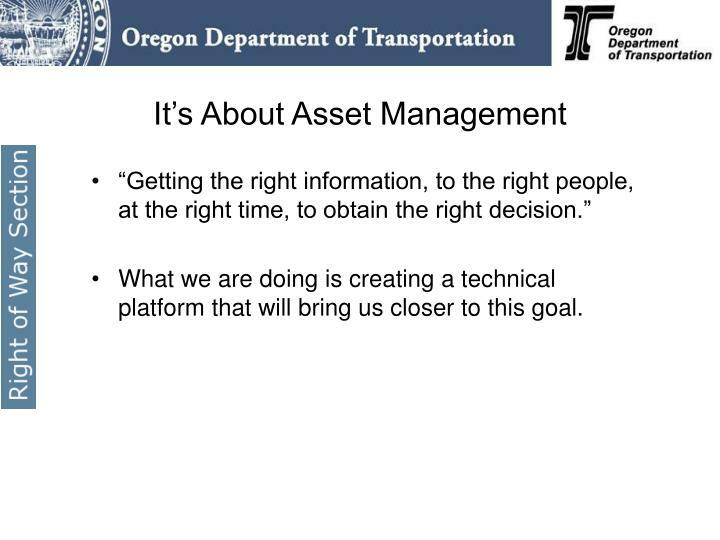 What we are doing is creating a technical platform that will bring us closer to this goal. 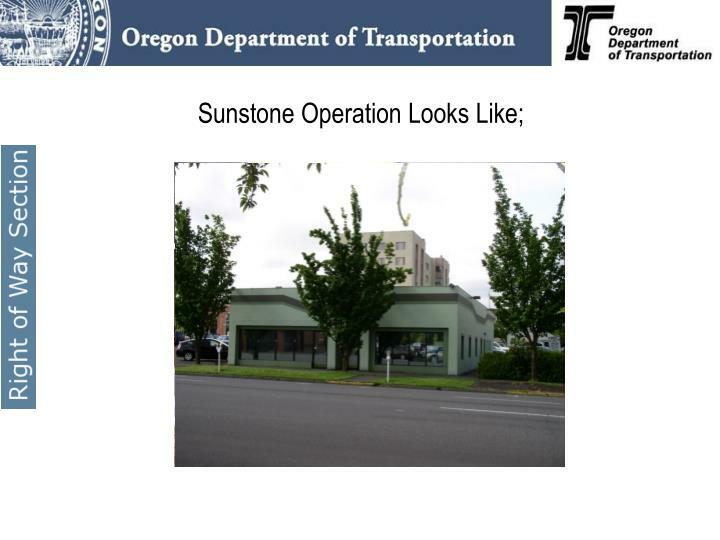 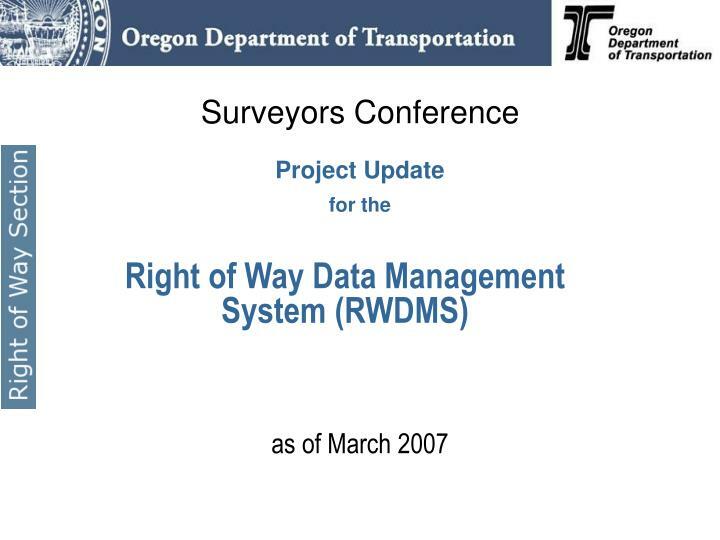 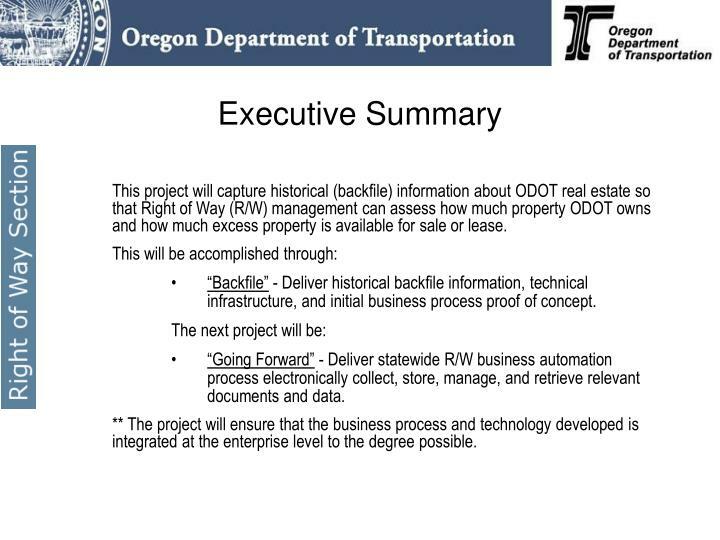 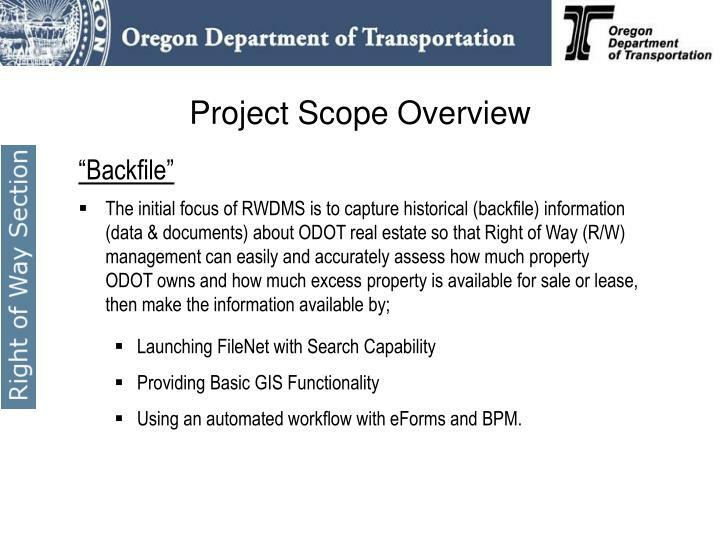 This project will capture historical (backfile) information about ODOT real estate so that Right of Way (R/W) management can assess how much property ODOT owns and how much excess property is available for sale or lease. 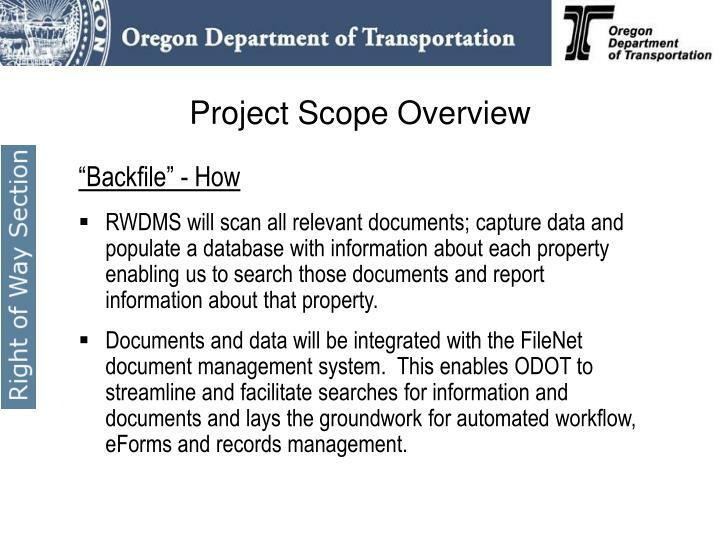 “Backfile” - Deliver historical backfile information, technical infrastructure, and initial business process proof of concept. 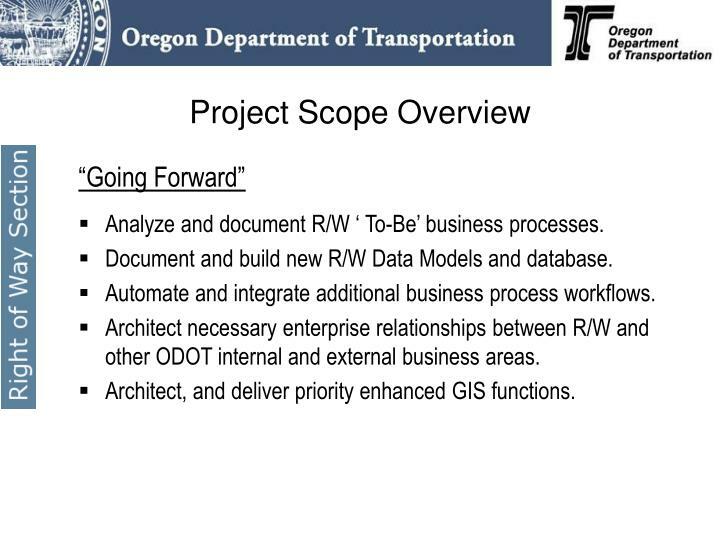 “Going Forward” - Deliver statewide R/W business automation process electronically collect, store, manage, and retrieve relevant documents and data. 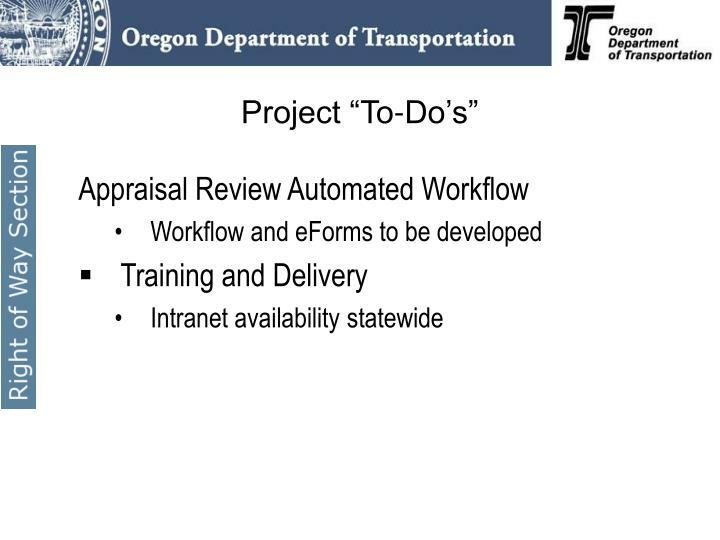 ** The project will ensure that the business process and technology developed is integrated at the enterprise level to the degree possible. 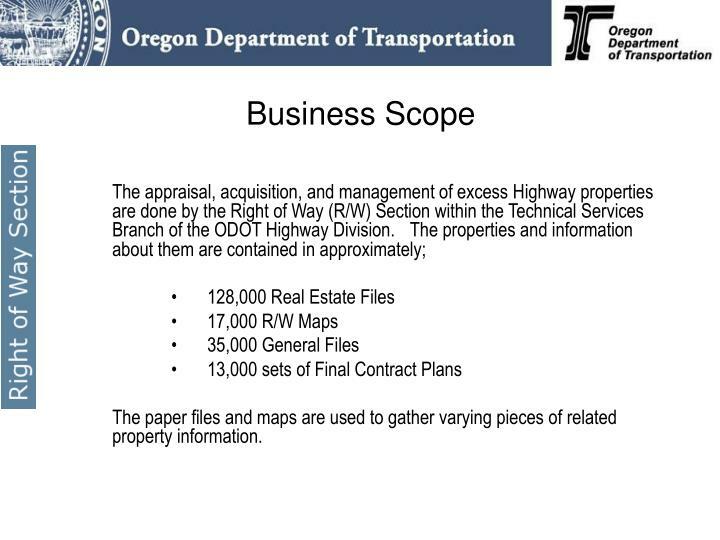 The paper files and maps are used to gather varying pieces of related property information. 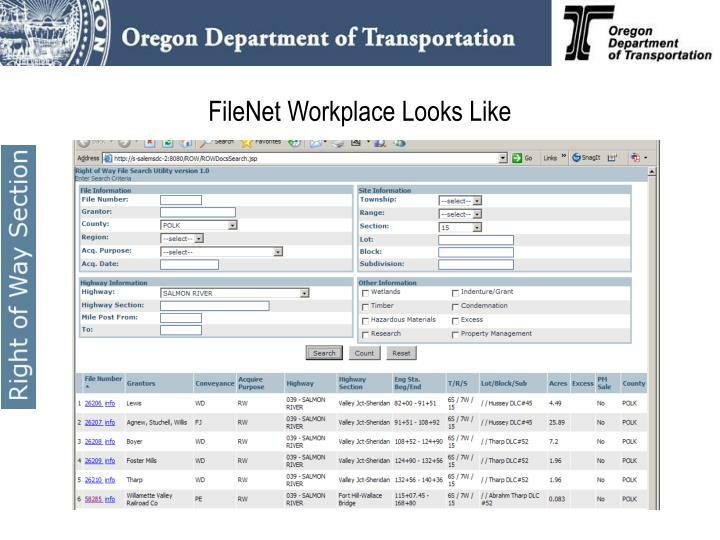 Using an automated workflow with eForms and BPM. RWDMS will scan all relevant documents; capture data and populate a database with information about each property enabling us to search those documents and report information about that property. 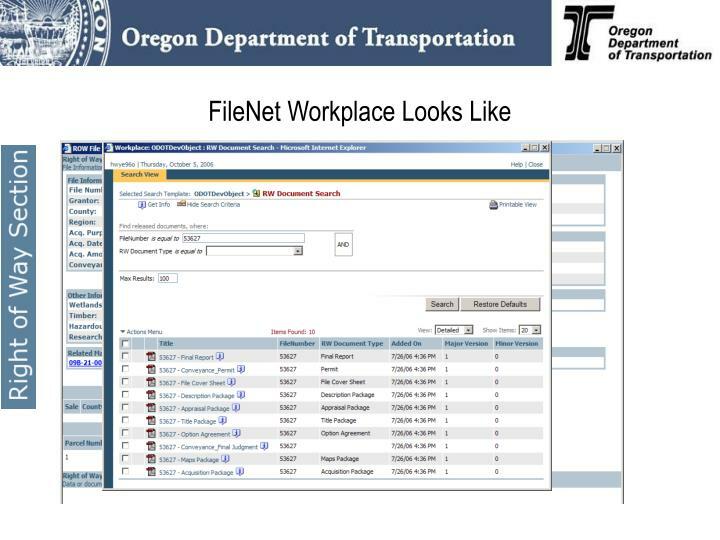 Documents and data will be integrated with the FileNet document management system. 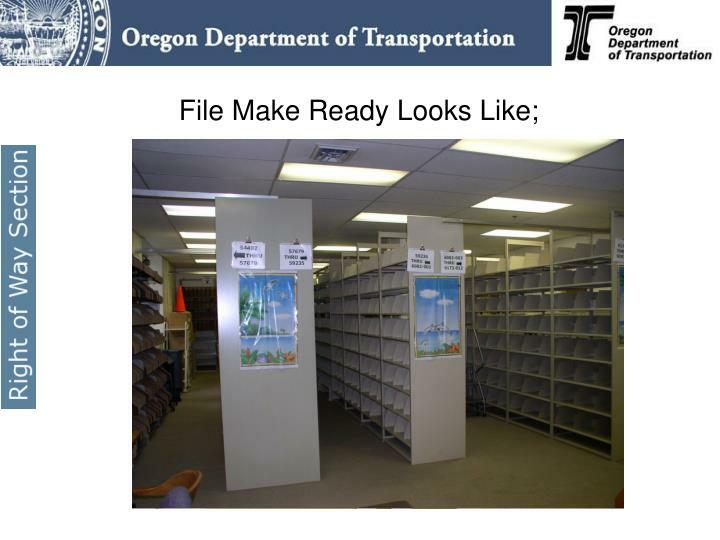 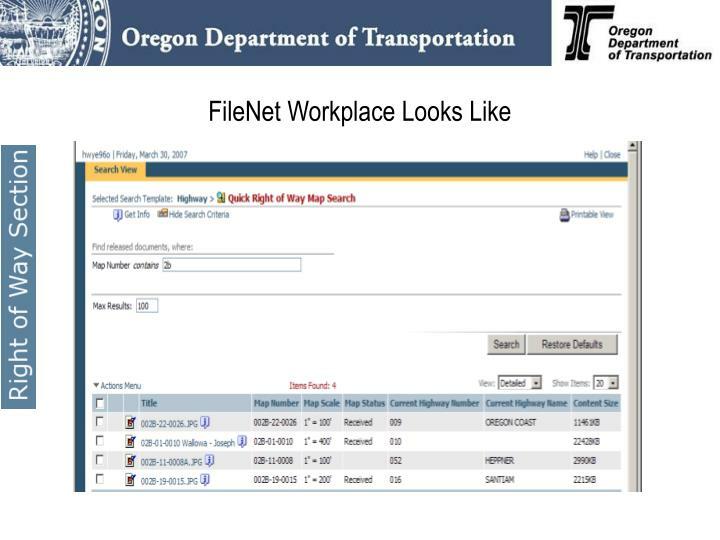 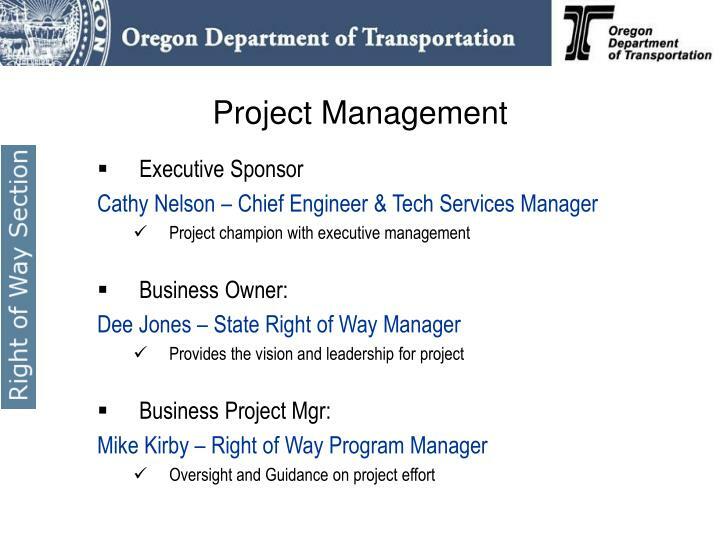 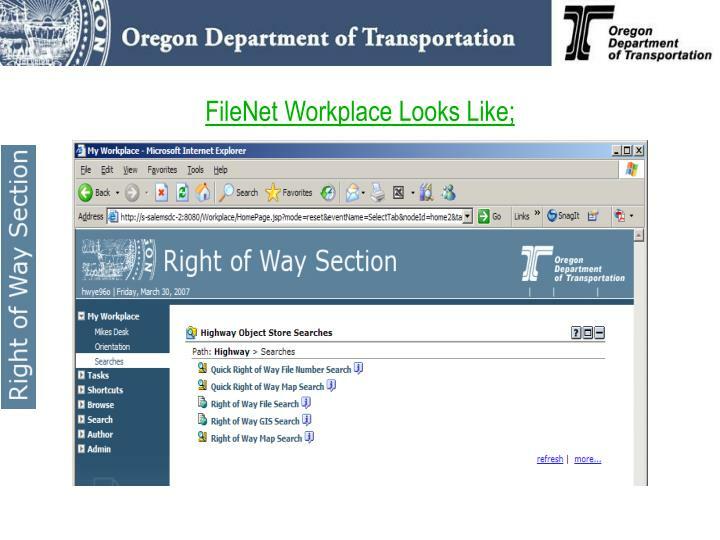 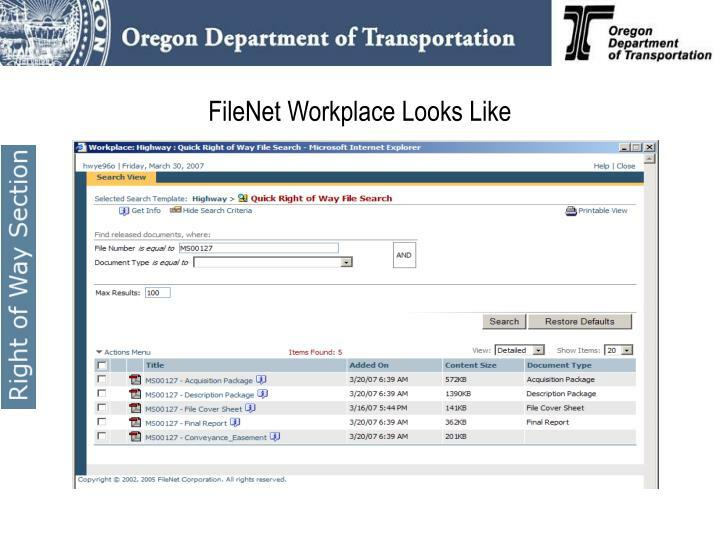 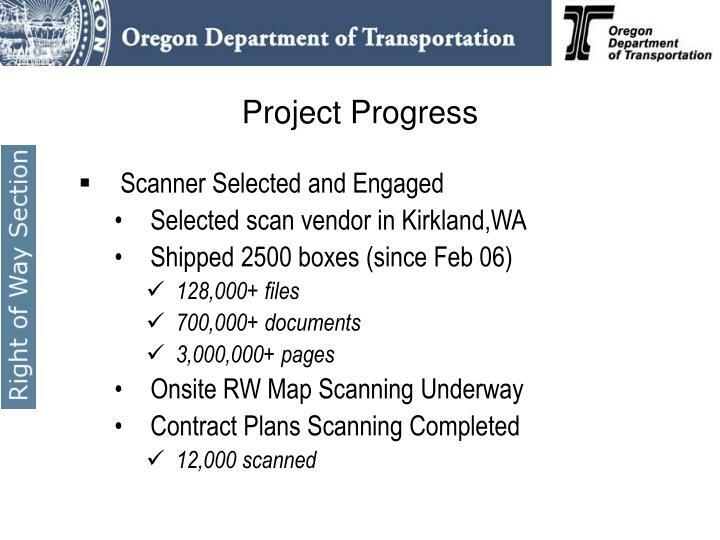 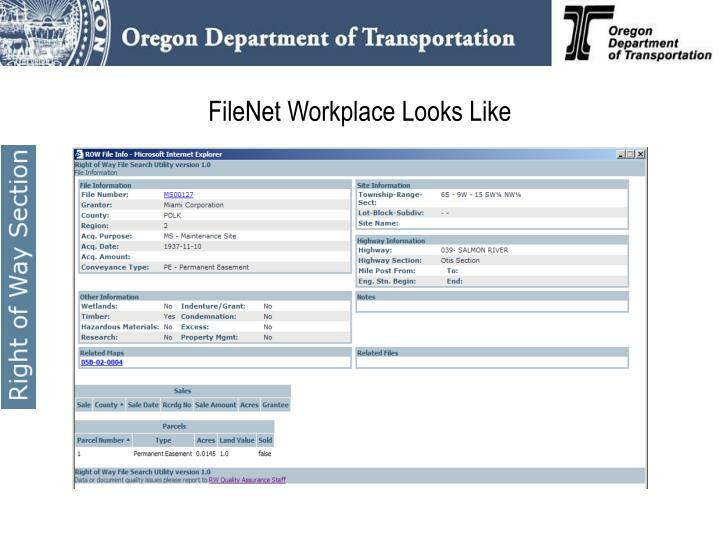 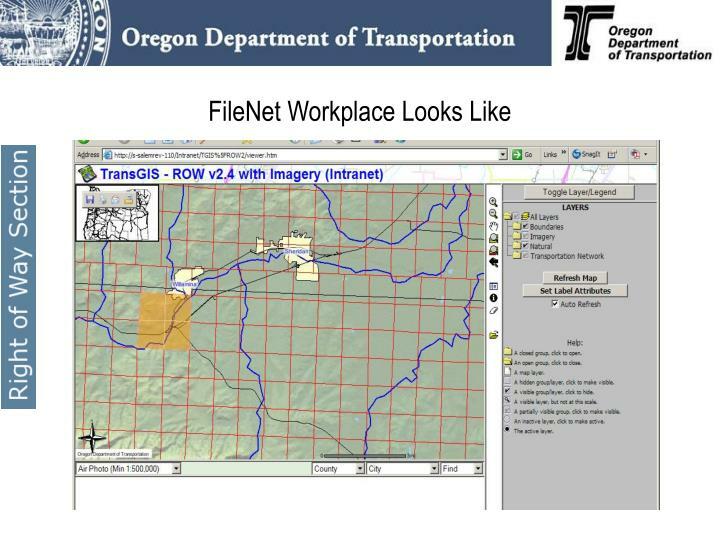 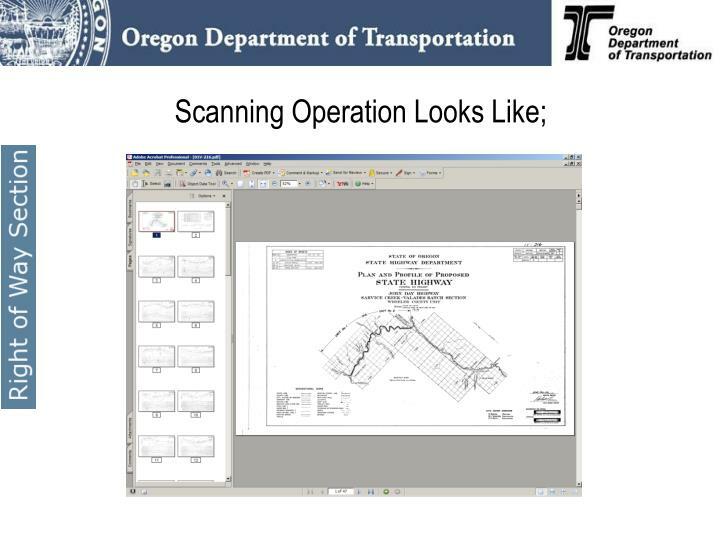 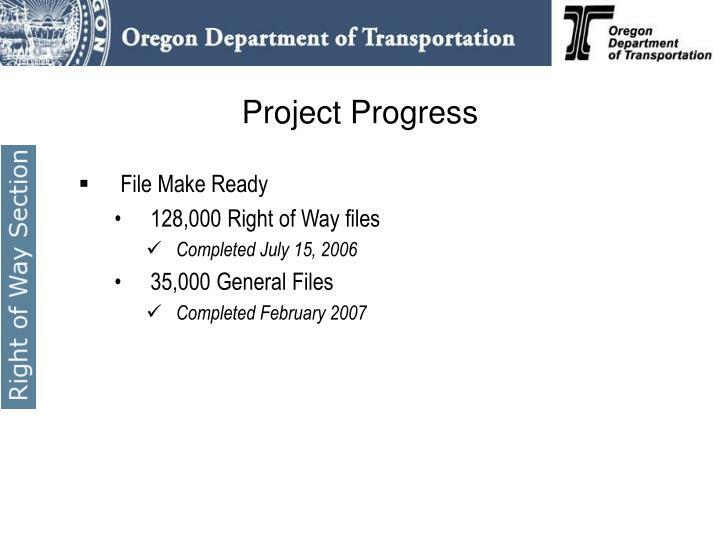 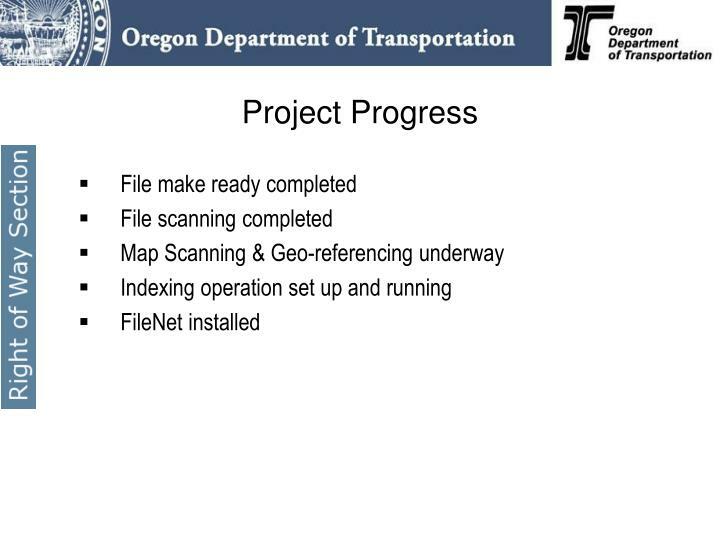 This enables ODOT to streamline and facilitate searches for information and documents and lays the groundwork for automated workflow, eForms and records management. 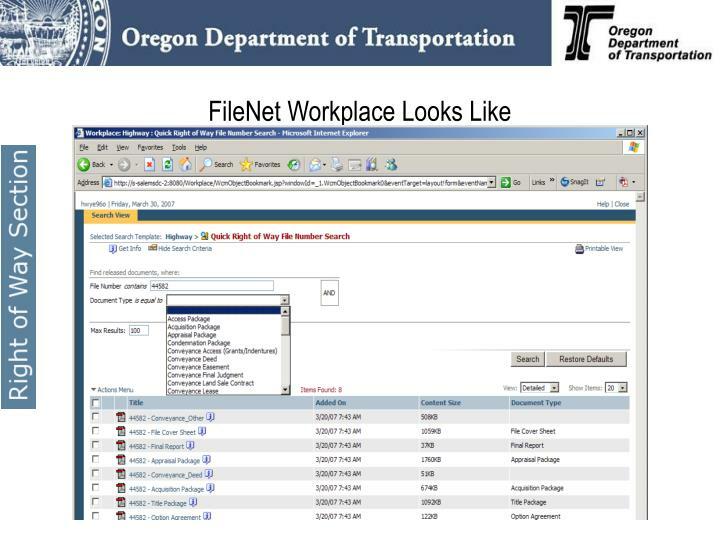 Analyze and document R/W ‘ To-Be’ business processes. 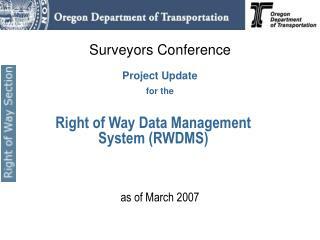 Document and build new R/W Data Models and database. 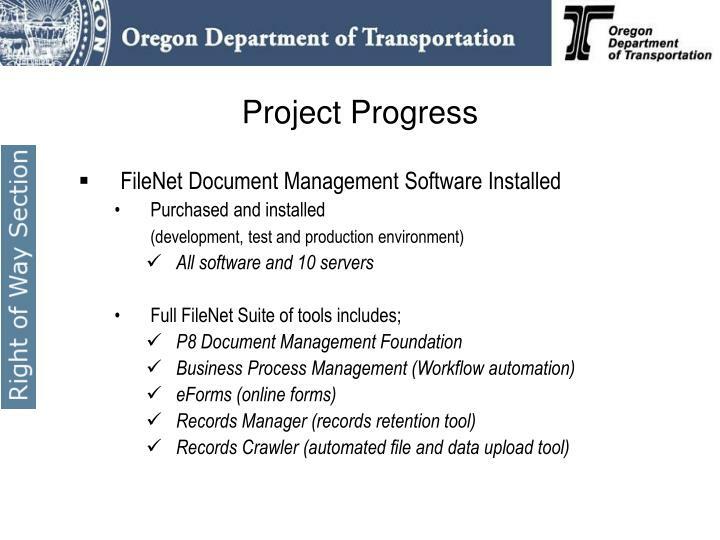 Automate and integrate additional business process workflows. 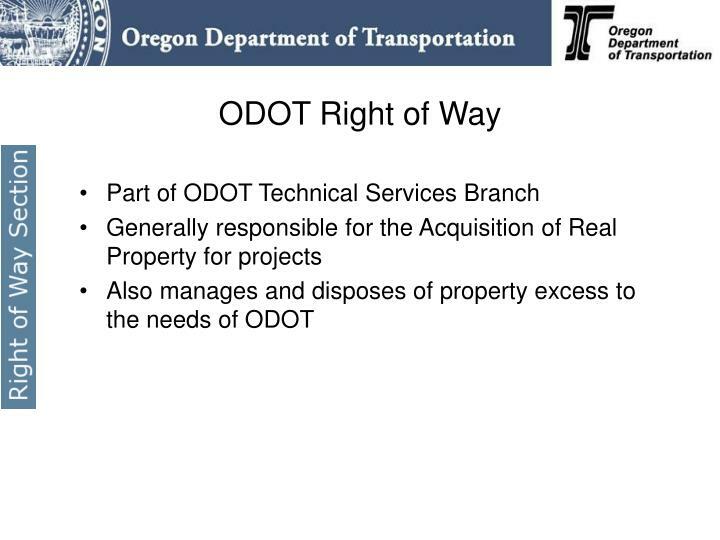 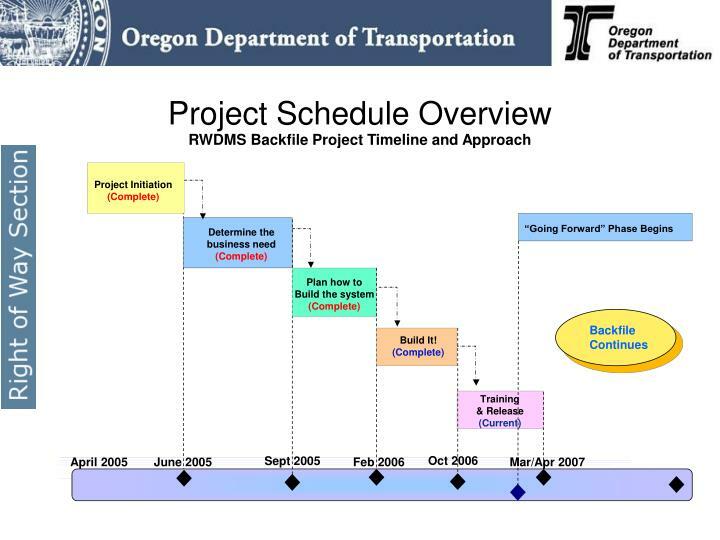 Architect necessary enterprise relationships between R/W and other ODOT internal and external business areas. 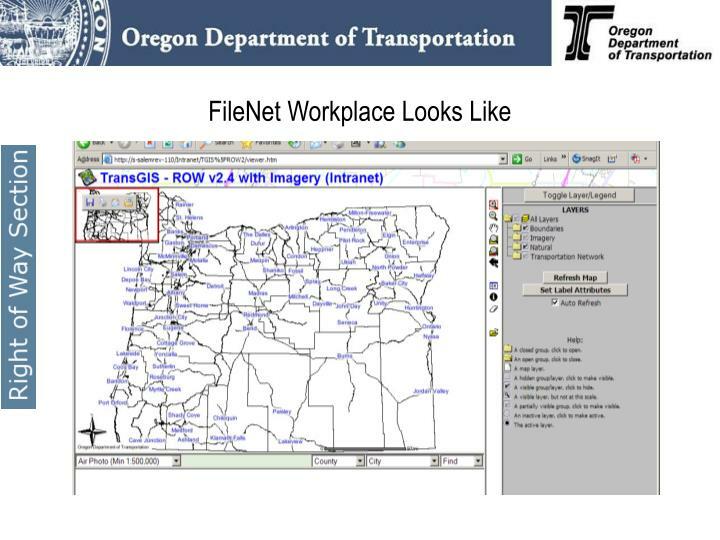 Architect, and deliver priority enhanced GIS functions. 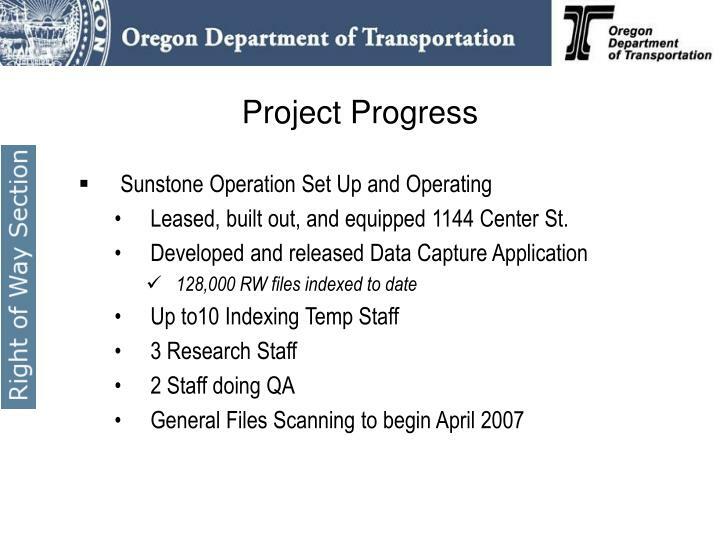 Leased, built out, and equipped 1144 Center St.
Are there questions about the project? 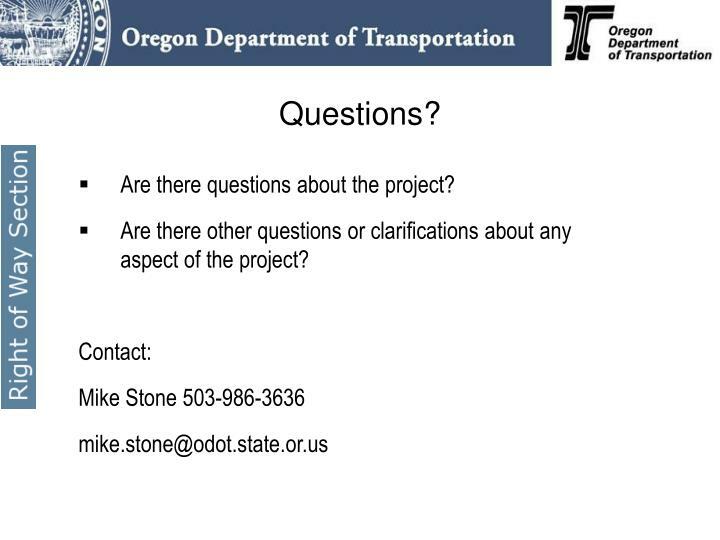 Are there other questions or clarifications about any aspect of the project?